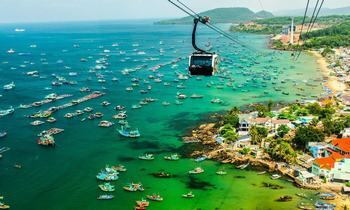 Located in Mekong River Delta, it is very easy for tourists to visit Phu Quoc from Chau Doc. 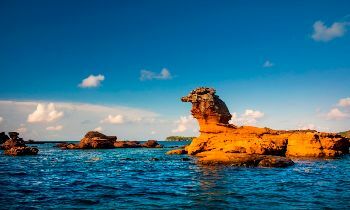 If you are a new traveler, let’s check this post below to know how to travel from Chau Doc to Phu Quoc. Phu Quoc is also called as Pearl island which is the largest island in Vietnam featuring the beautiful and wild landscapes. 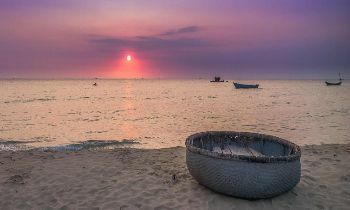 Nature gives Phu Quoc a harmonious scenery, warm climate all year round. 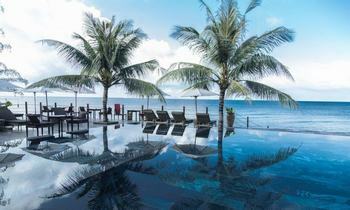 Besides, Phu Quoc also owns long and beautiful beaches, clear blue sea that will be the ideal destinations for couples and family to go on a honeymoon or a vacation trip. Traveling in Phu Quoc, tourists can immerse themselves in the wild and beautiful nature, enjoy great food, relax at the modern and fully-equipped resorts. The island of Phu Quoc remains the untouched natural characteristics and fresh air though the number of tourists is more and more crowded. 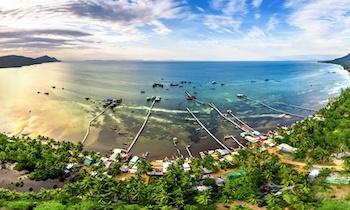 Not only attracting tourists in the beautiful beaches and natural sites such as Bai Sao, Bai Dai, Bai Khem, Ganh Dau, Dinh Cau, streams Tranh, Da Ban springs, Da Ngon springs, etc, this peaceful island also owns Phu Quoc State Garden, Ham Ninh ancient fishing village, Phu Quoc fish sauce factory, pearl processing workshops or vast green pepper gardens. 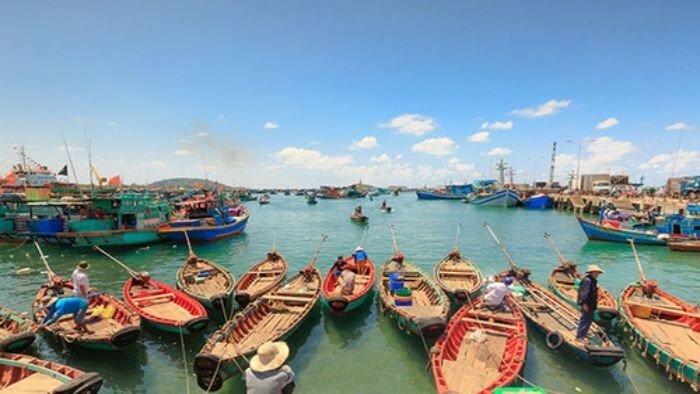 Kien Giang coastal and marine reserves including Phu Quoc island district was recognized by UNESCO as a world biosphere reserve area in 2006 attracting thousands of visitors to Phu Quoc tour of the year. 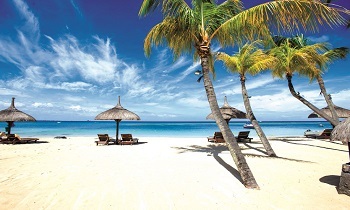 Not only that, in the journey to discover the Pearl island paradise, visitors can go scuba diving to watch the virtual beauty of coral reefs with about 260 species. 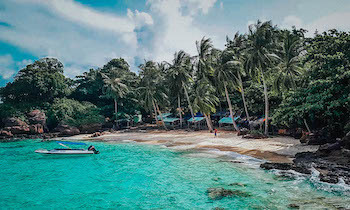 With a rich and diverse marine ecosystem of An Thoi archipelago and some small islands in the north, Phu Quoc is an ideal place for tourists to be satisfied to discover the mysterious sea. Here, they can watch corals in glassy shallow waters and simple snorkeling, explore the sea with professional diving equipment or combine diving with night squid fishing and wild island discovery. In order to get to Phu Quoc from Chau Doc, you have to get to Ha Tien town of Kien Giang province, then take a boat to Phu Quoc. Chau Doc is a town of An Giang province in Mekong Delta, this is a border town which is adjacent at Cambodia, so the local culture here is a mixture of Viet, Chinese, and Khmer. The distance between Chau Doc and Ha Tien is about 78 km, but the road distance of two destinations is over 93 km. So, from Chau Doc to Ha Tien, there are some options for tourists to move. The cheapest way to get to Ha Tien from Chau Doc, An Giang is by bus which costs $3, and it takes you about 3 hours to transfer to Ha Tien. You can ask for moving to Chau Doc station in Chau Doc town, and then buy a ticket to get to Ha Tien station. 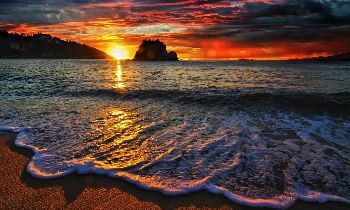 There is a direct bus departing from Chau Doc and arriving at Ha Tien departing every two hours, and operating every day. Another option is to catch a taxi, this is the quickest way to get to Ha Tien from Chau Doc. This is also a convenient option for you when you do not go to Chau Doc station to catch a bus, you can book a taxi at your hotel and start your trip to Ha Tien, which costs $60 - $80 and takes 1 hour and a half to move. 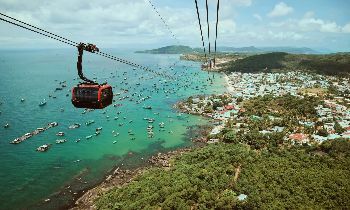 Ha Tien is about 45 km from Phu Quoc, so when you arrive at Ha Tien from Chau Doc, continue to travel to Phu Quoc from Ha Tien by ferry which takes about 1 hour and a half. 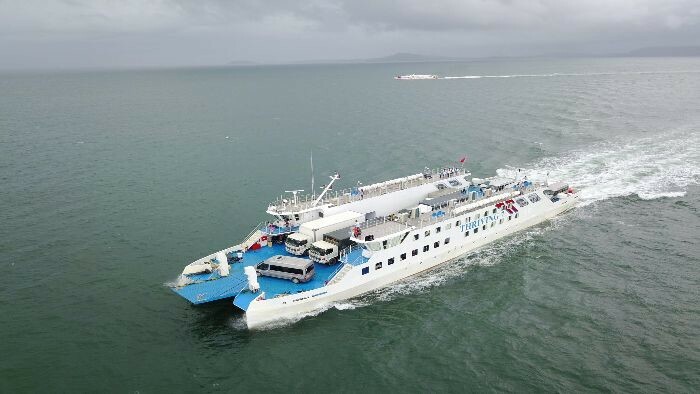 There are currently 3 ferries daily from Ha Tien to Phu Quoc. One fast ferry leaves at 08:00 taking about 90 minutes, the second ferry leaves at 08:20 and takes 2.5 hours, and the third ferry leaves at 13.00 and takes about 90 minutes. Sometimes in the rainy season, one ferry doesn't run due to lack of demand or maintenance issues. If the weather condition is bad, the small fast ferries might be canceled. The ferry will port on Bai Vong Port on Phu Quoc island, and the ferry ticket price is about $10 - $18 (VND 230.000 - 400.000). There are some prestigious ferry brands for you to choose which are Superdong, Phu Quoc Express. Phu Quoc is a famous tourist attraction in the south of Vietnam featuring many beautiful beaches and other natural sites for tourists to take a rest and have fun. If you don’t know how to travel to Phu Quoc from Chau Doc, let’s update this information to apply for your trip. Thank you!